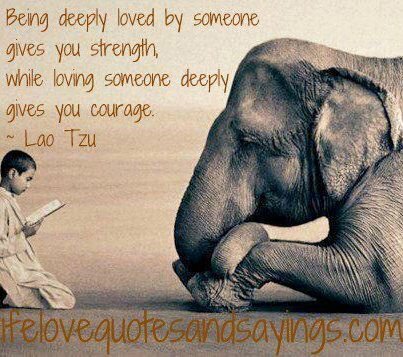 This entry was posted in Uncategorized and tagged compassion, courage, Lao Tzu, love, quote, strength. Bookmark the permalink. Thank you so much for the your comment Dan. I do not participate in any blog awards, but I ‘d like to heartily thank you for this honouring nomination. We’ll be in touch from your blog which I find very interesting and especially now that I am visiting Spain… Many thanks! No problem! And you’re going to love it here!! I am sure about that Dan. Thanks!